Nobody wants to spend half an hour a day standing outside watering their plants. Get perfect watering instead with a new sprinkler system designed specifically for your yard and installed by our sprinkler system professionals. We use professional grade sprinklers and parts from Rain Bird, a trusted and high-quality brand. Our team not only installs sprinkler systems that water your lawn, but that water your plants and trees as well. Systems are perfectly calibrated to use only the amount of water needed. 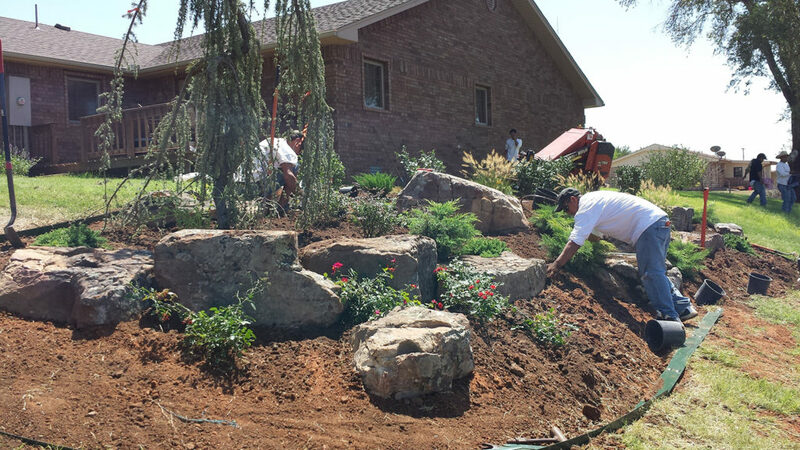 All our installations are customized to work with your landscape design, the type of plants that you have, and its maintenance schedule. Contact us today to talk about your personal project.